A scientist turned engineer, Dave started making wine in 1970. His approach combines simplicity with sound scientific principles. 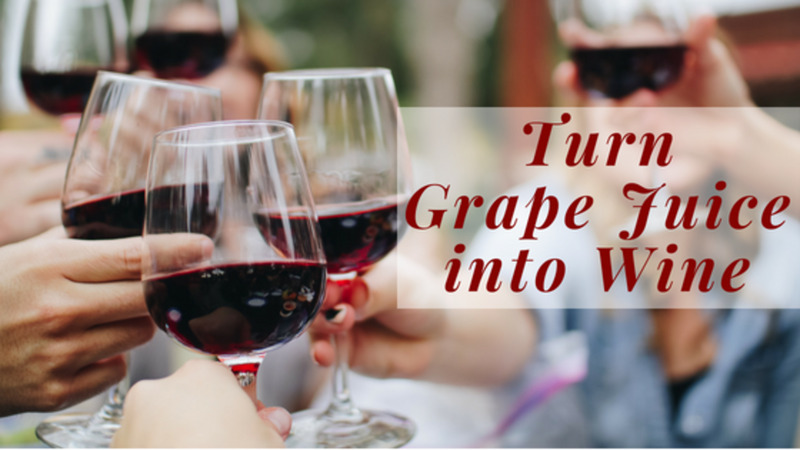 In this article, I'm going to walk you through a safe and reliable method of making fresh, wholesome wine from supermarket grape juice. The recipe provided uses no special equipment, chemicals or artificial additives. Why bother making your own wine? It's a fun time, feels creative and fills the kitchen with summery smells. It's very cheap, wholesome and surprisingly good. Guaranteed! This wine will contain no chemical additives or artificial preservatives. That is a promise you will not hear from many commercial winemakers. 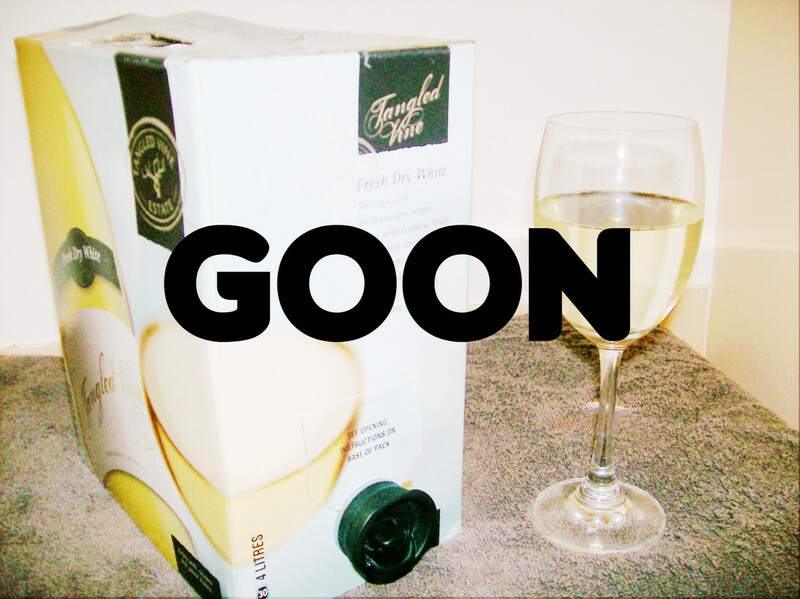 Your wine is made with pure fruit juice and therefore (if drunk in moderation), will do you nothing but good. The good news is, you will hardly need any equipment at all. Can you use any kind of yeast to make wine? No. It is very important that you do not use any other kind of yeast to make your wine. Baking yeast will ferment, however, it is likely to stop too soon, leaving you with an oversweet, understrength concoction (often with a bready smell). Much the same is true of brewer's yeast, except the product will smell like beer. What a surprise! If you are lucky enough to have a winemaker's supplier nearby, that's where to find your wine yeast. Don't be intimidated by the expert salesperson—one sachet of general-purpose wine yeast is all you need. If they offer you Campden tablets, vitamin B6, a hydrometer, a thermometer, a fermentation trap and a snake of plastic tubing, just smile sweetly and say 'no'. If you have no local winemaker's supplier, there are plenty of online resources available listed under 'winemaking supplies'. As for me, I get my wine yeast and other supplies directly from Amazon. This is all the wine yeast you'll ever need. It is a quick starter and a good fermenter with a wide temperature tolerance. Originally a champagne yeast, it clears and settles well. Best of all—it's very cheap! 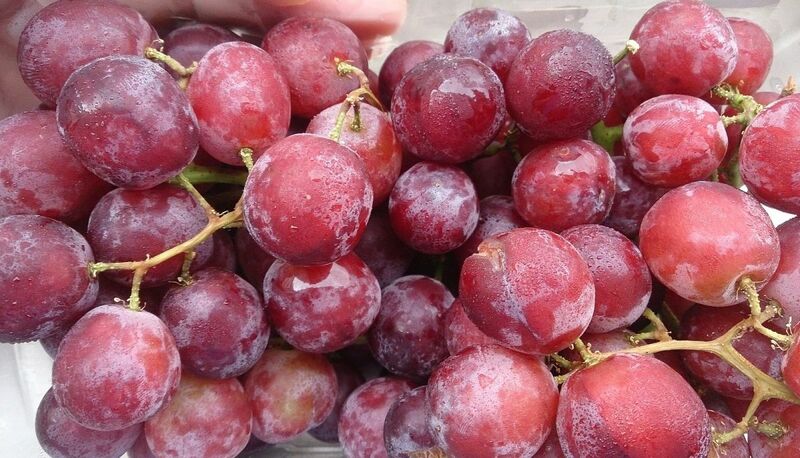 Your grape juice should be kept at room temperature, not in the fridge. If you have placed your grape juice in the fridge, make sure to take it out and let it get back to room temperature before continuing with the wine-making process. Drink or dispose of the 5 litres of water. Most people prefer to do this over a few days. When the bottle is empty, there is no reason to rinse it out. It's clean because it was full of drinking water, remember? Pour about half of your first carton of grape juice into the empty 5-litre bottle. You'll notice the 5-litre bottle will have started bubbling. Add the other half carton of the first juice as well as one other full carton, so the 5-litre bottle is now a little under half full. Tighten the bottle cap then back it off half a turn. This is very important. 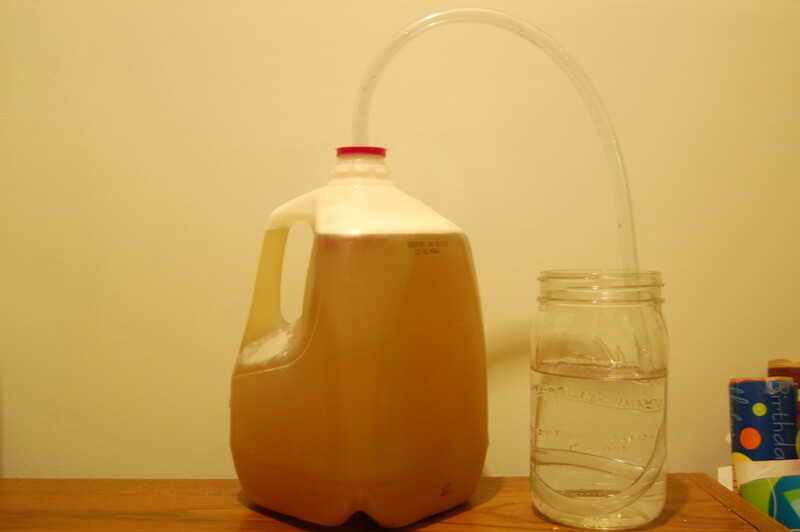 Fermentation produces a lot of carbon dioxide gas which must be allowed to escape. Take a 2-litre coke bottle and do whatever you want with the contents. I'm told it goes well with a Big Mac, whatever that is. We need it empty, that's all. Pour 500 grams (18 ounces) of sugar into the empty coke bottle. A plastic funnel makes this a lot easier. Pour boiled tap water or drinking water onto the sugar until the bottle is about half full (1 litre or 2 pints). Shake it until all the sugar is dissolved. Don't add it to the wine yet. By now, the wine should be fermenting well. 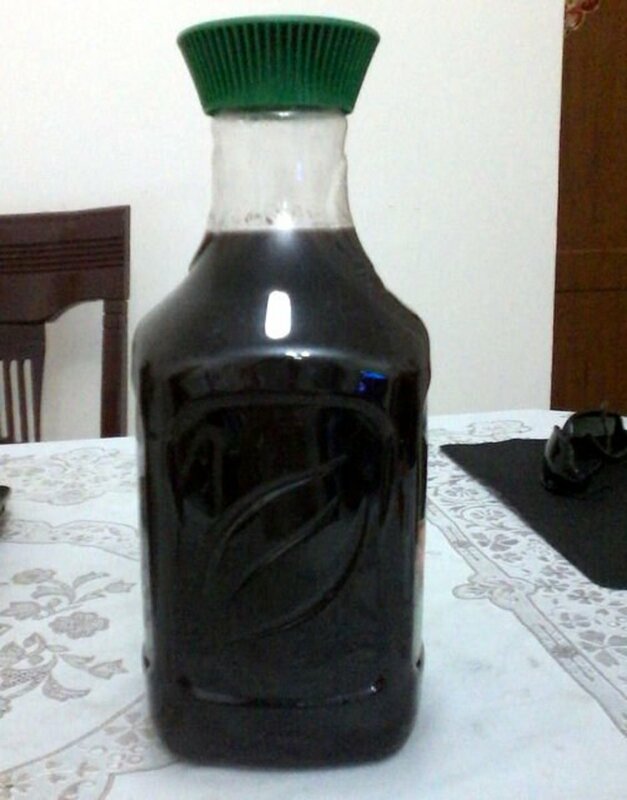 Add one more carton of grape juice and all of the sugar syrup to the 5-litre bottle. 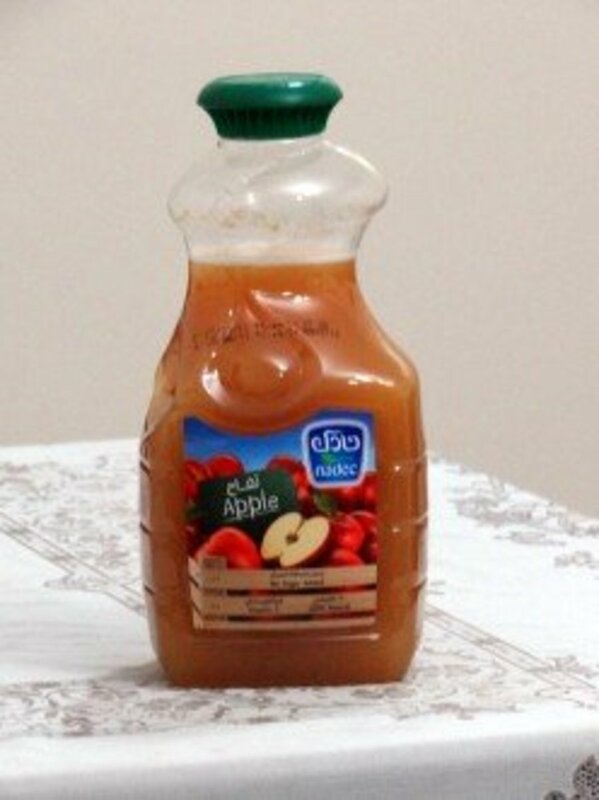 The amount of liquid should still be below the shoulder of the bottle. Swirl the bottle to mix in the sugar syrup. Tighten the bottle cap then back it off half a turn, as before. That's it for today. You should still have one unopened carton of grape juice. By day 10 or so, the liveliest fermentation should have eased off, so it's safe to add the last carton of juice. The 5-litre bottle should be filled to the bottom of the neck. Do the same drill as mentioned before with the bottle cap. Now, you just have to wait. Check the bottle cap every day, and watch for bubbling, showing signs of completion. It typically takes another two or three weeks for the wine to be complete. Final Days: Chill the Wine, Bottle and Enjoy! When the bubbling in your 5-litre bottle has stopped (or at least slowed to the occasional bubble), place the bottle in the fridge (not the freezer!) and leave it for about three days. The cold temperature will halt the fermentation and help the yeast settle to the bottom of the bottle. After three days have passed, line up enough empty bottles to hold the wine. Very, very carefully, so as not to disturb the sediment, pour the wine into the empty bottles using the funnel. It helps to have someone else hold the bottles while moving the funnel from bottle to bottle. Fill all the bottles in a single pass, without tipping the fermenting bottle. This way, you won't disturb the sediment. The wine can be drunk straight away, but it will improve in the bottle for several months. It's best not to consider 'laying it down' or any such nonsense. It's not that sort of wine. Cheers! You're now a winemaker. I'll be honest, your homemade wine may taste like a decent vin ordinaire, which is expected and acceptable. It will be on par with the staple drink of millions of everyday folk throughout Europe—because that's what we're making—everyday wine. 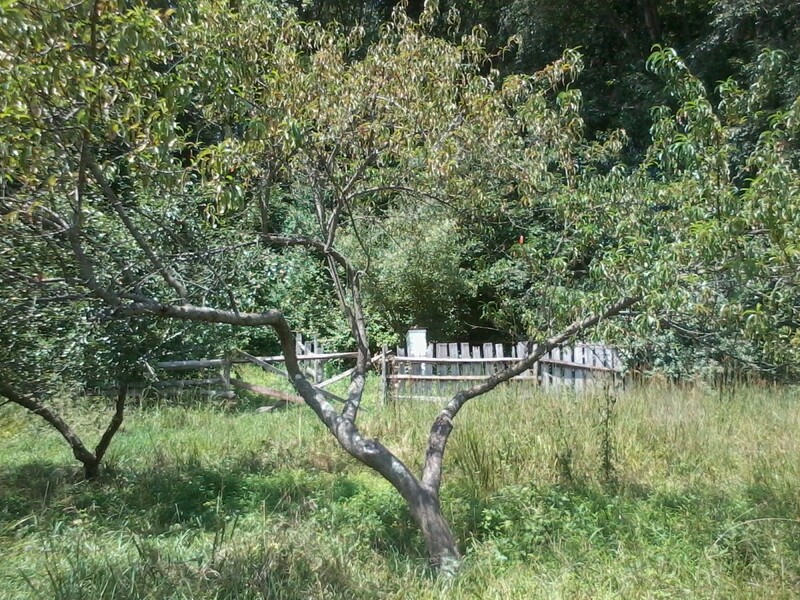 Buy a hillside with an ideal aspect, as well as good soil and climate. Terrace the hillside and plant your vines. Protect the vines from frosts, hailstorms, insects and neighbors. Oh, and start about thirty years ago! Of course, the above is not our goal for this article. Making wine from grape juice is a much simpler and less time-consuming solution to making a steady supply of wine. Before asking a question, why not read through the comments below? I have already answered many questions, so you may find your answer is already there! If you do try making wine by this method and run into any problem, describe it in a comment and I'll do my best to help, or at least explain what's gone wrong. If you have a go and it works out well (which is most likely), share your success to encourage others to join the winemaking community. I'm also happy to answer queries about home winemaking. Although my starter method is simple, it is based on sound principles. Advanced winemaking involves more equipment and processes. If the interest is there, I'll base a few more articles on the finer points. 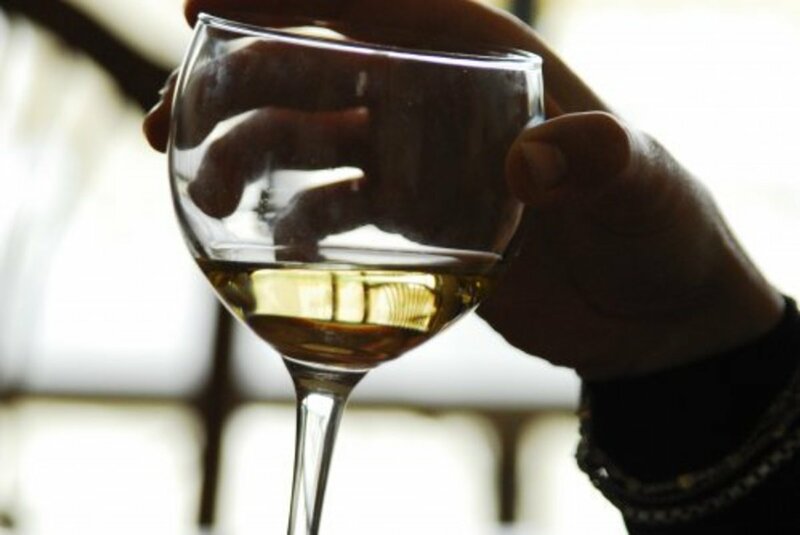 Do you know what the alcohol content was of your wine made of grape juice? This wine will lie in the range 11% to 13% if fermented to dryness as recommended. The exact figure depends on the grape juice and to a lesser extent on the yeast variety. I explain this topic fully in this article: How to Control the Strength of Homemade Beer, Wine and Cider. I know this recipe is for 5 litres of wine, but if I add an extra 1 litre of juice will it change the outcome any? I just want to fill my 6 litre bottle as much as poss. OK, for 5 litres, the sugar addition was 500 grams, so, for 6 litres might it not be 500 /5 x6 = 600 grams (!) If you don't increase the sugar addition, the alcoholic strength (ABV) will be lower. Instead of tightening bottle caps, I used an airlock, but being so amateur, I let the water inside the airlock leak down inside the wine. Do you think it will result in bacteria growth and toxic wine? It is unlikely to have caused spoilage if the wine was fermenting (bubbling) when it happened. However, nowadays, with 5 litre screw-top plastic drinking water bottles so freely available, using an airlock is an unnecessary complication. As a first timer of making my own wine from grape juice do you have any suggestions? My suggestion is, follow the directions in the article! It is written for first timers-with no previous experience of wine-making. If you have fermentation do you need to add the sugar? Would you get a less sweet, less alcoholic wine by adding a further liter of grape juice instead? If you don't add the sugar you will end up with a wine of around 6% to 7% ABV. This is OK, but it will not keep well and will not mature like a balanced wine. The sugar (as per my method) is all fermented to dryness so does not make the wine sweet. It results in a balanced wine in the range 12% to 13%. What brand of grape juice that I can get in Saudi Arabia would you recommend? My first choice is KDD juice. It's from Kuwait, but it's available in most GCC countries. Rauch is also a very good but more expensive brand. Almarai and Safa are also good. Remember to always read the label for "no preservatives." I have a 12-liter water bottle, would it be ok to double the amount of wine brewing ingredients and increase the time? Double all the quantities but don't change the times. It still takes the same time, for any quantity. While making wine from grape juice, why did my brew stop bubbling after the last carton went in? Usually it restarts after a day or two. The new juice dissolves the CO2 until saturated, then bubbles start to form again. Can you use a 5 gallon bottle with the ingredients of a 1 gallon bottle? Will the empty space do any harm to the wine? This would greatly increase the risk of oxidation towards the end of the fermentation. It would also be more difficult to separate the wine from the sediment. So, no, it is not a good idea. Can you use another juice such as apple juice to make wine? Yes, you can. But you will need to increase the sugar addition from 500g up to a maximum of 750g. To keep a wine-like quality, it is best to use grape juice for at least half of the total quantity. Did you know this tip? Instead of a bottle cap, get a heavy balloon and pierce a needle hole in the top. The balloon will inflate, and you know it is done when the balloon is totally deflated. It's a very old technique but not a good one. There is always drip-back from the inside of the balloon into the fermenting wine. Sometimes this gives off-flavours in the finished wine. Can I use freshly juiced grapes to make wine? Yes you can. If the grapes are ripe and sweet, follow the procedure exactly. If they are less sweet, increase the sugar addition to a maximum of 750 grams. Can Muscadine grapes be used to make wine? What is the difference in taste between white and red grape concentrate? 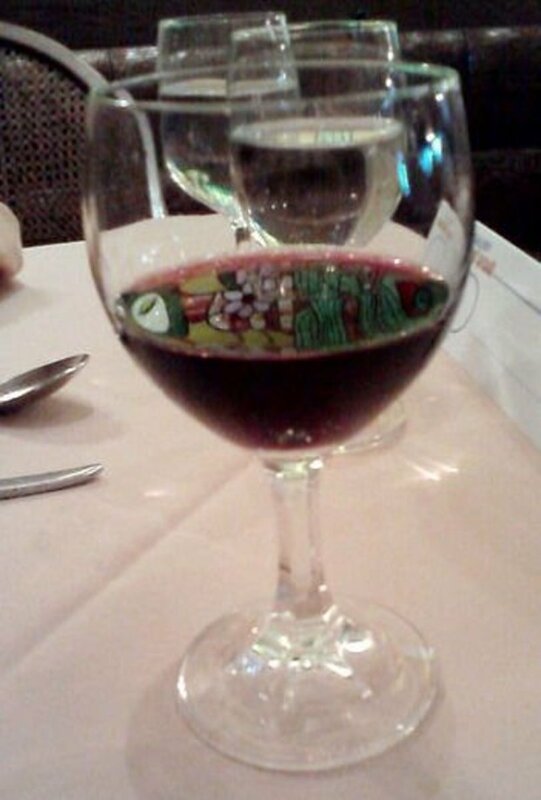 Red usually has a richer flavour with a hint of bitterness from the grape-skin tannin. For my 12-liter plastic bottle, I’ll need 3 times the amount of ingredients but is it best to do just under 12 liters to allow a gap for fermentation or just not add the total amount (1500g) of sugar? Also how much sediment/residue will be left that will be undrinkable? My original article is for 5 litres, not 4. If you want to make 12 litres, multiply all the quantities by 12/5 = 2.4. How would you use a 5-gallon container? Unfortunately, where I live these are the only ones available. The best way to use a 5-gallon fermenting vessel is to multiply all the quantities by 5 but don't change the times. In other words, make 5 gallons of wine. What brand of dark or light grape juice in the United States do you recommend for making wine? I don't know what is available in the States, but most grape juices will be fine. Always check the label: there should be no preservatives or antioxidants as these will prevent fermentation from starting. Most juices are made from concentrates. This is OK, but the best quality juices are simply pressed, filtered and pasteurised without concentrating them. These are more expensive but will give a better result. The wine I made last month was fine and I’m leaving it to improve for a couple of months. However, this time I followed the same procedure but it didn’t bubble after adding the same yeast. I’ve just added sugar syrup and hopefully, it may bubble soon. If not, what remedial action should I take? If you are sure the juice contained no preservatives, there are a few possibilities: the juice was too warm when the yeast was added, or, the yeast had become damp or too warm in storage. To save the wine, make a new yeast starter with fresh yeast and a little juice and add it only when it is active. When fermentation restarts, proceed as per the method. jone pe, I've never used Chinese yeast, but any wine yeast will grow in the fermenting vessel until all the sugar is used up or the alcohol level is as high as it can tolerate. Then the fermentation stops and the yeast sinks to the bottom. When the wine is clear, it is also free of yeast. 1 liter and a half of Welch's Grape Juice. Note that 10 grams of dry Chinese yeast brews 50 kg of red grapes. Is it a risk of increasing yeast in wine ?? Hi Steve - in UK, I use Sodium Metabisulphite solution for sterilising. But where this is hard to find, e.g. in UAE & Qatar, I use Milton tablets (or equivalent). These are available everywhere as they are intended for sterilising babies' bottles. Use as directed and rinse after in cooled boiled water. Hi Dave - Thanks so much for this! I know the water container is clean, but do you sanitize the wine bottles or funnel? If so, do you have a go-to product? Thanks. Robert - it's possible that the juice contains preservatives, or was too warm, or that the yeast was no longer viable. This can happen if it gets damp or too warm in storage. If you are sure the juice is OK, you can add an actively fermenting yeast starter made with new yeast and juice. The last wine I made was fine and I’ve bottled it for a couple of months. However this time the wine hardly bubbled after adding yeast and shaking. I’ve just added sugar syrup and hopefully it will bubble soon. Anything I can do or should it be ok? PcolaBill - Rauch is quite intense, heavy juice. But are you sure you have fermented it through to dryness? If it is still sweet, it might just need longer to ferment. At this time of year (in the N. Hemisphere) cooler average temperatures need longer fermentation times. I have used the Rauch red grape juice and the finished product is pretty thick, more like juice than wine. Is there a way to thin it with out messing it up. Troy - I don't think Customs will be a problem. You should be OK. Thank you, I will try and will share my experience. Q- I’m planning to order Wine Yeast online, will be there any issue with the costumes? Roger - yes, it's certainly proved a popular article. Having recently retired, I'm thinking about putting together an e-book of techniques and recipes. We'll see. Thank you Dave. I will be careful next time. How do you feel? - 8 years back you posted this recipe and till date you are receiving comments from all over the world.. Isn't that something great. Roger - the extra water explains the absolute dryness. Also, the wine is probably closer to 11% than the target 12.5%. It should still be OK and will improve for a month or two, but don't add extra sugar to the bottles, or they will referment, possibly blowing the corks or at least bubbling on pouring and remaining cloudy. Dave.Thanks for the response. The wine is very dry, no sweetness at all and very hard. I did a mistake on Day 2, along with 500gm sugar i added 1 liter of water - so the total sugar syrup became 1.5 liter. Wondering if this messed up everything Anyways I will wait for few more weeks. Do you recommend adding more sugar to individual bottles. Is it a good idea. Roger - I don't recommend brown sugar as it can leave a bitter taste. White granulated sugar is best. Are you sure it is sour (acidic, like lemon juice) or maybe just very dry (no sweetness)? If it has just finished, let it rest for a few weeks. Even a little time will soften it. Judy - I don't live in the States so I can't comment on what's available. Most grape juices will work fine as long as there are no added preservatives or antioxidants. Always check the label! What brand of light or dark grape juice do you recommend in the States? Yes, you can use any grape juice that is free of preservatives. I use a steam juicer to process my grapes into juice. I have both Concord red and Niagra white grape juice that I would like to make in to wine. Can I use this juice to make wine with this recipe? No, but you will have to do a lot of shaking to dissolve the sugar! Honey is easier. Do u boil the cranberry juice though ? Hi Yazzz, just follow the red wine method but use cranberry juice instead of water to dissolve the sugar. If you want, instead of 500g sugar you can use 250g sugar and 250g honey. It will take a little longer to finish and clear, but I like it. KDD grape juice, any cranberry with no preservatives. First of all, thank you so much for this blog. It changed my lifestyle and saved me a lot of money. I have two questions regarding a previous patch and a current one. Previous patch: I followed your instructions and completed 3 full weeks after day 10. However, I couldn’t leave the container in the fridge and left it for 5 days in a very cold closed room. The wine turned out very good but it has a lot of carbon bubbles. I tried to shake the bottles to release the gas, it get reduced but not total gas release. What do you think think went wrong? Is it the refrigerator step? Current patch: i am using 12L container as well using the yeast from previous patch with same container. Unfortunately, I couldn’t do the work of day 10 for traveling reason and now it is day 19. Is it okay to pour juice as in day 10? Do you think it is safe to reuse the same container? Lorraine - yes, but use 750g of sugar, not 500. I prefer a grape/cranberry blend, but if you fancy the pure cranberry, go for it! KSA first, thanks for the supportive message! White wine is all about freshness, brightness, youth ;) Reds can be heavier and deeper in flavour. True white wine can only be made with freshly pressed grape juice. Supermarket juice is always pasteurised. This process makes it darker and heavier. The freshness is gone forever. You'll never replicate the gooseberry crispness of a Pinot Grigio using pasteurised juice. You are right. The reds work better. Using harvested yeast, there are no special procedures to follow. The main thing is to sterilise the small bottle you keep it in before you harvest it. Hi Dave - I just wanted to say thanks, I have been revisiting this page regularly since 2014 when I first came to Saudi Arabia and still it is my go to reference. 1) I find that following the recipe with red grape juice yields a terrific result, but doing the same with white grape juice does not seem to turn out as good. Is this just my personal taste or do you have any tips or tweaks when using white versus red? I note that I have never been a wine connoisseur so maybe this is how it’s supposed to be. 2) what’s the process for harvesting used yeast? I read your comment about capping the used yeast in the fridge but what is the procedure for using this for subsequent batches? Anything particular that needs to be done to the mud? Very unlikely, if it smells & tastes wholesome. I followed the instructions. I think I’m getting diarrhea from the wine. Is there anything that could have gotten wrong in the process and caused the diarrhea? Ahmad - nothing to worry about. These are clumps of yeast. They will settle to the bottom as a sediment towards the end of fermentation. I’m using white grape juice, it’s day 5 now, and as I’m adding the third bottle of juice and the syrup, I noticed many weird white-yellowish pieces in the gallon. Should I worry about it? Should I just start from scratch? Hector, nothing to worry about. Fermenting wine is pushing CO2 gas out through the loose cap. Smoke can't swim upstream against that current. But try not to set your house on fire too often, ok? I didn't want to return so soon, because you've already provided a lot of great advice. But something unexpected happened and you're the only one I can turn to. I was cooking a pizza in the oven, then all of a sudden. My smoke detector went off. So I run downstairs and there's a cloud of smoke. I have 2 gallons fermenting in a closet next to the kitchen. Do you think the smoke will do something funky to my wine? Thanks for everything Dave. P.S. Everything else came out tasting good, but now i'm worried that I'll have to restart. Hi John - I'm not a great fan of mulled wine, but this one you might like: Pour one bottle of our home made red into a glass bowl. Add one wine glass of Bacardi Black Rum. Add a sachet of your preferred mulled wine spice (or your own blend of cinnamon, cloves, etc). Cover the bowl with a plate and warm it in the microwave for 30 to 45 seconds. (Don't heat it in a pan and don't let it boil!). Let me know what you think? The holiday season is approaching -- always a good time for enjoying wine, and hot mulled drinks. Do you make any special holiday wines concoctions? Hi Ahmad - glad you liked the honey blend. The listening test is useful, towards the end of the fermentation. You might also see small bubbles if you shine a bright torch through the wine. I think there's no problem. Hector - cold will slow a fermentation down considerably but it will not kill yeast the way heat can. As long as a brew is fermenting, the backed off cap will prevent oxidation, so no worries on that score. Fermentation generates its own heat, by the way, so in a cold environment, lagging the fermenting vessel in a blanket can trap this heat and keep the liquid temperature several degrees above ambiance. As promised, I’ll share my experience with 2 Rauch and 2 KDD batch. It was Ok compared to my all KDD batch. Another batch I made with KDD and half sugar half honey; it was really great, the honey did give it bit of texture. Thanks Dave for the tip. I’m facing a problem with my latest batch. 4 days after day ten, the bubbles are gone, but when i open the gallon i can hear a bit of sparkling sound. I am not sure what this means or what to do in this case; knowing that the I have reused the sediment (yeast) from a previous batch. Reading your step by step process was a lot easier than all the "mumbo jumbo" instructions I got from people's videos. I first experimented with homemade wine in the summer of 2015. Using the backed off cap method (of a Welch's bottle) with sugar and bread yeast. But now I've come to the reality that ordering wine yeast is the proper way of doing it. 1. Winter is on the way here in Pennsylvania and if my heat isn't on. The house can drop down to about 50 degrees. Could cold air ruin my grape juice, sugar and wine yeast concoction if my house isn't at least 70 degrees? 2. If oxygen flew into the top of my closet where I keep my half gallons of wine that are fermenting, could the oxygen effect it? A sachet is just a small packet. Wine yeast is often sold in individual small packets each containing about a level teaspoonful. Great description of step by step process. I like wine but I can honestly say that I've only once had a taste of homemade wine and it wasn't too bad. You do have to be disciplined and follow instructions exactly. Sounds like a lot of work. Just might try it. I'll add you to my "follow" list. By the way, what is a sachet? Ahmad - no, the cheesecloth won't catch the suspended particles and there shouldn't be any bigger pieces for it to catch anyway. So it's just something else to sterilize! Ahmad - if the KDD finised sweet, I think you may have stopped it too early. It does contain more sugar than Rauch and so needs more time to finish to dryness, then it will be stronger too. Joseph - it will lie in the range 12 +/- 1, depending on the juice you use and assuming you let the fermentation finish. Sorry my previous question was to the author Dave..
Im from India, So how much alcohol does this method have? is it normal 12-14% or lesser than that? Do you think it’s a good idea to use a cheesecloth to filter the wine while pouring into the plaster funnel? After bottling the wine, Is it better to keep the wine bottles in the fridge? Or is it better to keep them in room temperature? I prefer it cold, but I don’t know if it affects the wine. Dave, I’ve noticed that Rauch seems to ferment better (more bubbling) than KDD. But KDD looks and tastes better. I’m not sure, but i think Rauch turned out to be dry, while KDD i think is what’s called sweet wine. My question is, although I used the same amount of sugar in both batches (KDD vs Rauch), does it mean the KDD batch had less alcohol than Rauch since KDD had less bubbles? because Rauch seemed to ferment better. p.s. my next batch I’m mixing 2 KDD + 2 Rauch. I’ll share the result when it’s done in a few weeks. How do I harvest the yeast from the bottle? Ahmad - half and half, 250 g each of honey and sugar, added together at the same stage in the method. Not all honeys have the same flavour, so use one that you like. A clear one of course, not cloudy or hard. Thank you Dave. The wine turned out to taste really good, I’m surprised. Do you recommend I try using honey instead of sugar next time? If yes, how can measure it? Thanks again, you’re a life saver. Yes, give it 3 days in the fridge to clear it. I think I should clarify. By “three days before two weeks” I mean 12 days after day 10 the bubbling seems to have stopped completely. The bubbling completely stopped three days before two weeks. Is this normal? should I place it in the fridge now? It smells ok.
Badrock - adding extra yeast does not give a higher alcohol yield. Also if using Baker's yeast, increasing the sugar addition more than stated in the method just increases the risk of early stoppage. Cold distillation works by reducing the water content but doesn't produce any extra alcohol and doesn't remove any impurities. Thank you dave I will try the recipe but with baker's yeast and with a higher dose for that hard fermentation can longer and also add sugar. And to tell you in my country impossible to procure yeast of wine. One can find that baker's yeast. And one last thing if I practice cold distillation is what it works and is what I can extract from pure alcohol with a high rate. Thanks again Dave for your advice. Badrock - Cider is usually in the 4 to 6 % alcohol range. Baker's yeast can easily achieve that, though a wine yeast will give a better quality result. Wine is usually 12 to 14 %. Baker's yeast is quite likely to stop fermenting early in this range, leaving an over-sweet result. Always use wine yeast for wine. As for the Rauch white grape batch, there is still little bubbling, but the smell actually reminds of white wine. So I guess I'm on the right track. My KDD red grape juice batch is in its 13th day. About 2 days after adding the last carton of juice, the bubbles have almost vanished. Now in day 13, there's only a very thin white line at the top in the form of a ring. I am wondering if I should stick to your instructions and give it a couple of weeks more, or take it to the firdge already. Another thing is the color. It's too dark, I'm not sure if this is normal. I'm sorry for asking too many questions, but this is my first time making wine. Give it a few more days to pick up. If there are no off smells, it could still be OK. The only sure way to check if it is fermenting is with a hydrometer, but I guess you don't have one of these. The temperature was the same as the red grape juice which is working fine. And the yeast brand is the same as well. Maybe i should wait and see? I wish I could post a picture to show you. There's a little bit of bubbling going on, but I'm wondering if I should keep it or dispose of it. And if i keep it, how can i make sure that it's actually fermenting well. Ahmad - Rauch white grape juice should ferment well. It's possible your yeast was old or you added it when the juice temperature was too high? The red sounds fine though! The Rauch white grape juice is showing a little bit of bad bubbling. But nothing compared to the red grape juice. I hope it's normal, or maybe the fermentation takes more time with the white grapes in this case. And i am also using Rauche red grape juice, and i believe its fermenting very well i can see the bubbles. I'm following your instructions using Rauche white grape juice. But I don't see any bubbles on the top. And this is the 5th day. Is it normal. I'm in Kuwait so I don't have wine making tools. Thanks yazzzz, for the appreciative comments and the Ceres white juice tip. That's a brand I haven't used, so I'll give it a go. Has - i have experimented with every white grapes juices available in the GCC market, CERES white grapes would give you a Crystal Clear white wine literally crystal clear no joke. Pear Juice thanks to your tips it was saved despite the ugly looking pulps that was at the top through the whole fermentation period but it was falling down towards the last week and it rested at the bottom once entered the fridge , the wine turned up good in terms of taste but too foggy. Yeast Harvesting is the best thing i learned through wine making, i tried it with rauch red grapes, i harvested the yeast twice , the third generation resulted a crystal clear red wine with a lovely colour and the taste was amazingly fruity , its the best batch i have ever made , its so good that id rather keep it for my personal use and share it only with people who r essential to us :-) so harvesting does improve your wine and makes u save on yeast unless ur trying different juices. Has - I used to make beer at home, from first principles, using malted barley and hops, but you won't be able to source these in the Gulf. Some people buy alcohol free beer, add sugar and yeast and re-ferment it, bottling it towards the end of fermentation before it is completely flat. You can try this, but I've never been impressed with the results. I prefer to stick to wine and cider. I've been using your instructions exclusively for over a year (was my first attempt at winemaking) and guess what? My neighbours reckon I've been doing this for years. Almost everyone who had my wine stopped liking their own. 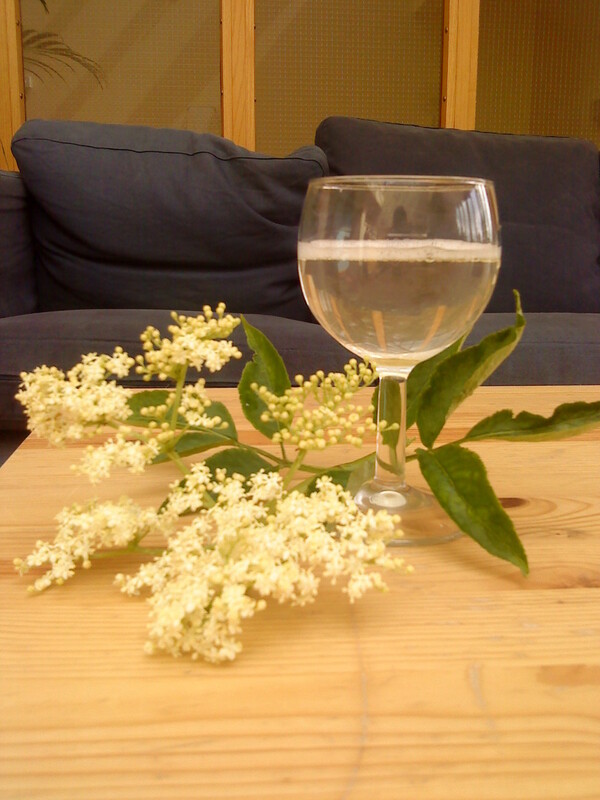 I've made red, white and rose. Ok I am not too impressed with the whites mainly because of the color, I like my whites crisp and clear, but the juice doesn't help..for rose, I mix 5pct of red with the white, it's not bad. I've had the wine anywhere between immediately to 4 months later, and discovered that between 3 to 4 months, its amazing, smooth, fruity, dry. Also helps if I pour it out into a jug before serving. For the batches where quality wasn't facsinating (can't say why really it is what it is) I make it into sangria's! No one complains and the ladies love it. Just wanted to say SHUKRAN, thank you. So many fun evenings in the driest country in GCC! and encourage everyone to keep at it, don't give up! Thanks for the quick advice. It was wine yeast. I'll let it rest for a good while then. Crouchy - if it was baking yeast, it would give a yeasty taste that you'll just have to live with. If it was a wine yeast, probably there is still some in suspension in the young wine. Time is the best remedy for this. Give it a few weeks rest. Thanks for easy guide. I've just bottled four ltrs of red after pretty much following your instructions. Only difference being i used glass bottle with air lock and as it was only four ltr i gently warmed the third ltr of grape juice with the sugar and some honey instead of water, allowed it cool and added. It has turned out by no means horrible but has a yeasty taste. The only thing i can think of is my yeast was a couple of months out if date. Would some dead yeast cause the taste and is there any way to get rid of it. I would probably go with white grape juice, but technically either will do. The puree might sink in the fridge but if it doesn't, you may have to siphon the wine instead of pouring it. Thanks for ur advise , I've added the squeezed lemon on day 2 with 1.5 L of the same juice Pear. It's fermenting well except that the purée is on the top layer , do u think it will settle with the sediment at the final stage in the fridge? I still have to add juice on day 10 , shall I add another white grapes or stick to pear ? Just add the juice of one large lemon as early as you like. I would also use at least some grape juice, not pear on its own. But it's your experiment! Probably not, but if you want it to be at all wine-like, add some acidic juice - squeezed lemons or oranges. I've decided to experiment on CERES pear juice and after I started day 1 I realized that the juice is 100% but with pear purée. Would the purée be a problem !!???? Kmtt - a water bubble airlock could dry out in a month and expose the wine to the air. By day 20 there is not much fermentation left, so I would close the screw cap almost fully but not quite. when the fermentation stops, that is a better protection than a dried out airlock. I miscalculated. On day 20 I am leaving on repat for a month. Would it be ok to set it up with airlock and leave it in the plastic jugs until I get back? Screw the cap down and leave it for a day. If the fermentation has not fully stopped, next day when you reopen the cap you will see and hear a small pressure release. If you do, repeat for another day or two. If not, refrigerate it. Hi Dave, it's about 10 days since the last carton went in, but the fermentation has stopped. It's a bit earlier than I expected, and I read your comment about refrigerating too early...wondering if I should put it into the fridge or wait another few days to be sure fermentation has ended. Both have disappeared from the shelves in Qatar, thanks to the blockade! U mean white grapes KDD and almarai? Cuz I can't find any !!! Hi yazzzz - There's no strict limit, but there's no advantage in going beyond a week. Best to get it off its sediment when it has fallen clear. For white wine, Almarai and KDD are both good. Thank u again and again , started leaving my batches 1 day longer in the fridge so total 4 days in the fridge , it becomes more clear with a lovely color. What's the maximum days I can leave a batch in the fridge before bottling? What's ur favorite juice to use for white wine? Khan - better to order it, as Yalm just said. If you don't want to risk it, you can try growing a culture from fresh grapes. If you read earlier comments, I explain how to do that.